Billing system contains applications to manage data about users, rate the products or services usage and produce monthly bills. The system contains the interoperator billing module, which is responsible for inter-carrier settlements. The system is one of the basic systems of each telecom operator. Without it, the operator would not be able to offer and charge their products and services. BIS system is intended for managing records of users master data, forming the price of telecommunications services, previewing and printing invoices, and monitoring charges and billing. The system is flexible and allows an operator to add new services. The system allows an operator to combine a variety of functions and service and raises customer care to the next level. 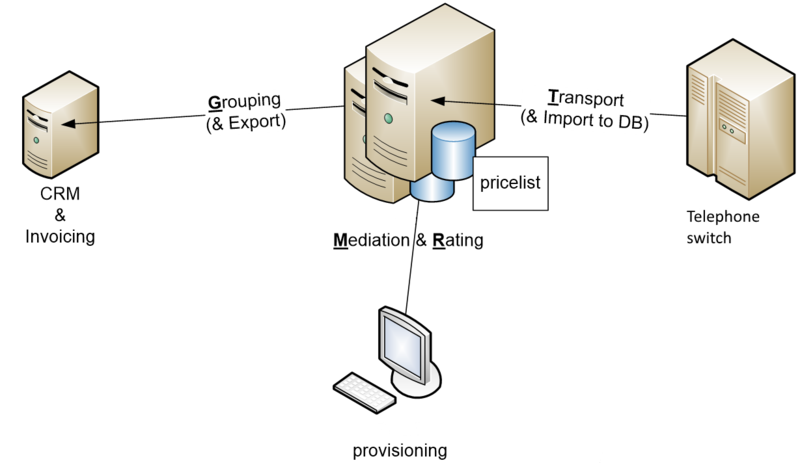 The system for interoperator billing consists of subsystems for the collection and pre-processing of telephone traffic records, and server for mediation and rating. The collected records (CDRs) for outgoing and incoming traffic are a basis for international / interoperator billing.